Book #2 Trouble in Texas series is here! Silver Belle and her best friend, Jeremiah, are back for another Texas frontier adventure. Bank robbers, a kidnapping, a smart horse with his own way of doing things, and a train robbery that goes horribly wrong. Formatting and cover design by Carpe Diem Publishers. Exciting news! I am under contract with Globe Pequot Press (TwoDot Books) for a book about the great cattle driving era in Texas. Research is as much fun as the writing, and I’m digging in to first hand accounts and cowboy stories during 2019. The book will be out in the Fall of 2020 and I’ll have more news before then. Find me at www.wordsmithsix.com along with my writing critique group as we navigate the world of creative writing and publishing. Check out the Home Page of this website for blog posts at PRAIRIE PURVIEW about the genuine people, places, history, and the western lifestyle of the Texas Panhandle. This site is an Amazon Affiliate. Purchases made through Amazon links (including linked book covers may result in my receiving a small commission. This is at no additional cost to you. My novella, Maggie’s Betrayal, was selected for the anthology OUR TIME ON ROUTE 66. This is book 1 of a continuing series featuring fictional stories set on history Route 66. A short piece about my grandmother and her recipe for a cherry fluff salad that she made every holiday was selected for The Western Writers of America Cookbook: Favorite Recipes, Cooking Tips, and Writing Wisdom. My short story, A Cowboy’s Christmas Blessing, was selected for inclusion in a collection of short stories by West Texas authors, West Texas Christmas, published by ACU Press. My freelance work has appeared in numerous publications, including “A Cowboy’s Life” in Appleseeds Magazine, as well as Chicken Soup for the Mothers of Preschoolers Soul, Amarillo UpTown Magazine, Writing for DOLLARS! eZine, ByLine Magazine, Amarillo Globe, The West Texan, Stories for Children eZine, kidmagwriters.com, drillers.com, and numerous job related venues. Hello! Thanks for finding me. I’m a 6th generation Texan, growing up in the one-stoplight town of Dimmitt. My mother’s family settled in Texas in 1855, and is recognized as one of the founding families of the Williams Ranch settlement and Brown County in Texas. Our home was full of books. My dad loved history and I’m certain he ordered every Time Life Series ever printed. My mother was a devoted Harlequin reader. I’m a fan of Wild West history, the Texas frontier, friendly people, great stories, and all things old and dusty. I have been writing for as long as I can remember and finally had the courage to share my stories with the world after my youngest son turned two. I am married to a geologist and cattleman. We raise certified, all natural Red and Black Angus beef on one of the oldest ranches in the Texas Panhandle. If you like cows and Texas sky pics, check out my Instagram account #sanfordranch or follow me on Pinterest. Links are below. Meet our sweeties from the Amarillo SPCA. Please support your local animal shelter. Story research at Fort Concho. Learning about black powder rifles, which is more fun than writing sometimes. Twitter Instagram and Pinterest have fast become my fun obsessions. I’ve posted inspiration boards for a few of my Works In Progress (WIP) on Pinterest. You can take a peek here. Working ranch horses and an endless Texas sky are my inspiration. This is one of our registered AQHA ranch horses, Dually. Take a few pages of your WIP with you wherever you go; it’s amazing what you can get done while you’re waiting. 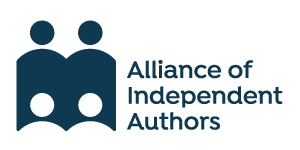 Write the story that burns a hole in your gut and if the traditional publishing route is a dead end for you, learn everything you can about becoming an Indie Author. Write the story that you enjoy working on because before it’s ready to submit, you’ll read it over a zillion times. When it finds a home, you’ll have to work on edits and read it a zillion times more. It’s okay to write a lousy first draft. Being a writer is like living multiple lives: you’ll disappear into your fiction world that you’ve created, the writerly world of story craft, and your non-writing every day life. You’re not going crazy; just go with it. Turn off your self-editer and self-doubt, and just WRITE! The first draft will never be good, which is why the editing process is so important and time-consuming. Beware of brain drain. I love Social Media, but sometimes I feel like it drains my creative energy. Write your work in progress words first, and then tweet and blog. Find a trusted critique partner or group who can provide you with an honest, useful opinion. Return the favor in kind. Invest time and money into your career as a writer: go to a writing conference even if its just once every year, every other year, whatever you can afford. Keep learning. The more you write, the more your creativity and writer’s brain will take over. Don’t be afraid to take notes on the ideas that pop into your head. Start an IDEA journal now. Listen to your subconscious. Read, read, read, and then write some more!